The path to purchase for mobile devices is entering its next era. To help Brand advertisers better connect with the people who matter to them, InMobi has partnered with YouGov to explore how the path to purchase has changed and what these shifts mean for mobile marketing. 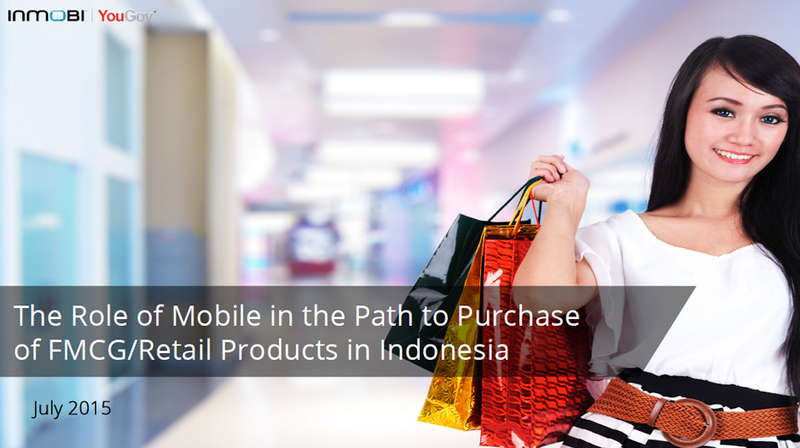 This study explores The Role of Mobile in the Path to Purchase of FMCG/Retail Products in Indonesia. The InMobi Path to Purchase study is a comprehensive report that measures what consumers do on their mobile devices and captures actual preferences and behaviors. This study allows marketers to identify, understand, and engage with consumers along their journey.